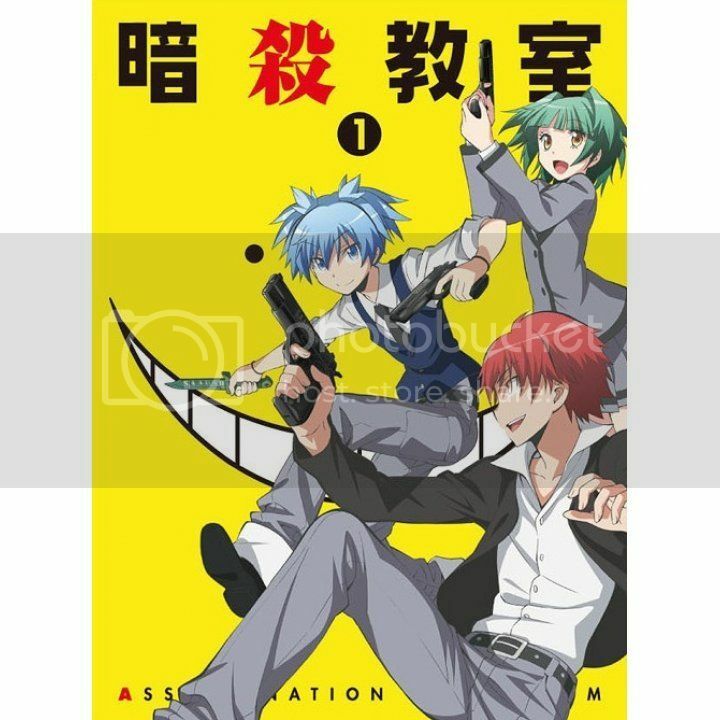 Update: The review for the second movie, Assassination Classroom: Graduation, is over here. 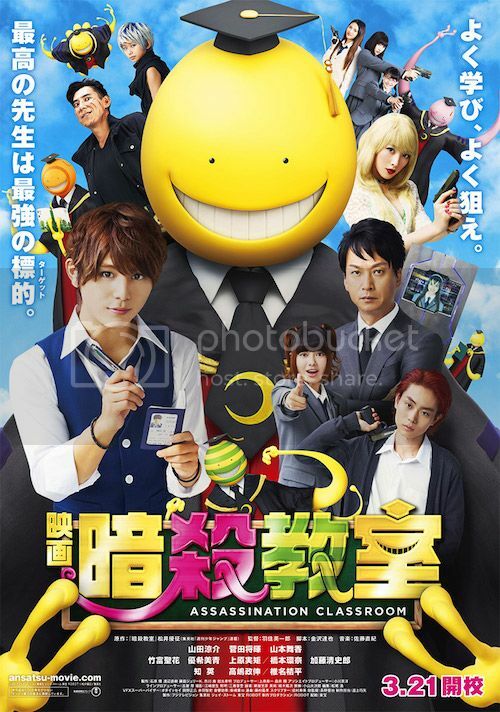 I watched the movie Assassination Classroom (暗殺教室 , Ansatsu Kyoshitsu) when it aired in the cinemas. I was really excited to be able to catch this in the theatres. The movie is an adaptation of the still on-going manga of the same name by 松井優征 (Matsui Yuusei). Having read the manga before watching the movie, I must say that I was pretty impressed with how closely the storyline followed the manga. I first heard about this movie when Yamada went on VS Arashi to promote the movie. Just hearing about the story-line piped my interest enough to read the manga. The story is about a yellow tenacle-ed creature with a horde of super powers. He is said to have destroyed 70% of the moon, rendering the moon into a crescent shape. And, he is set to destroy the Earth next March, and as a result government organisations all around the world are scrambling to try and destroy him. Owing to his super powers though, he is ‘unkillable’. He was asked the Japanese government to allow him to teach at the lowest ranked class in high school, and the students to be nurtured in the way of assasination, with their target being him, their homeroom, and all knowing teacher. Some gripes about the movie. They could have picked a better cast, more fitting to the manga characters. Many fans complained about Yamada being a bad cast for Nagase. I think he’s actually not that bad though. I do wish they got someone of real, Eurasian descent to play Irina, instead of a Korean actress. Not to say that she wasn’t a good actress, but she’s certainly far from the background of Irina in the manga. Kippei-san is also too old for Karasuma. He played the role well, but his age is something that can’t be helped. Compare the image of a 51 year old guy with a 20 something, young, athletic and handsome guy with spiked hair as drawn in the manga and you’ll see where I’m coming from. The movie actually stuck pretty close to the manga, with attention being paid to minor details and dialogues. For the most part that is. In the later half of the movie, the story veered more from the manga. I was actually disappointed at how they ‘downsized’ the setup. 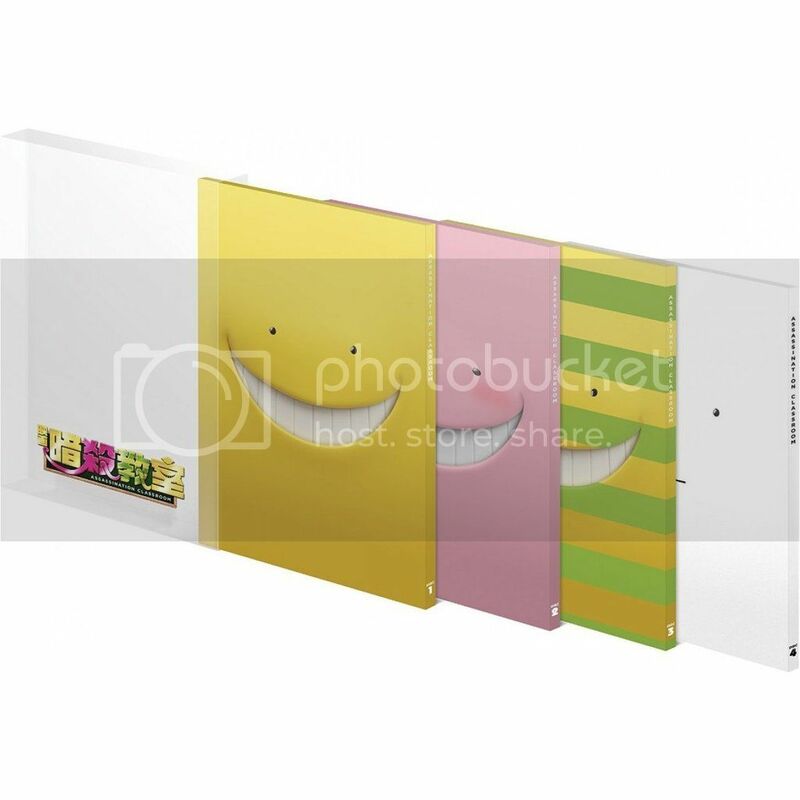 Instead of going to a holiday resort/island after their exams and to claim their ‘reward’, it occurred in their school instead and with a way less elaborate set up. The set up almost looked like a water theme park and lost a lot of ingenuity that appeared in the manga. I would have appreciated it if they tried to replicate the manga more, especially the ‘water level rising in a hut’ thing. The tentacle removal part from Itona was also oversimplified. I get it that things have to be simplified and left out in other to fit into the length of a movie, but the whole handling of it felt too childish to me. Still, it was a great movie and definitely worth the watch. And for fans of Ninomiya, you certainly won’t be disappointed. 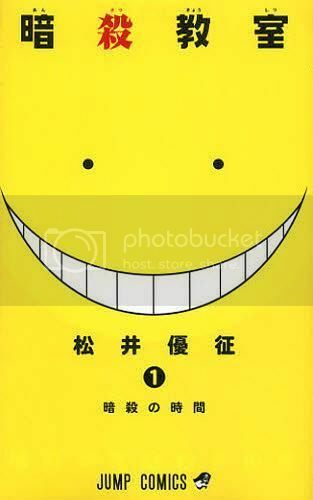 Despite the fact that he ‘only’ provided the voice for Korosensei, Korosensei is still the main character, and Korosensei did A LOT of narration too. It felt like half them time we were only hearing Nino, I mean, Korosensei. Nino fitted the role really well. I can imagine him being all snarky and bratty, yet self absorbed at times. I can’t wait for the sequel to air, though I can’t imagine Nino acting as the God of Death before he became Korosensei. Update: The second movie is out now, and I’ve done a review over here. The DVD/Blu-Ray of the movie is now available. Check out the links below.